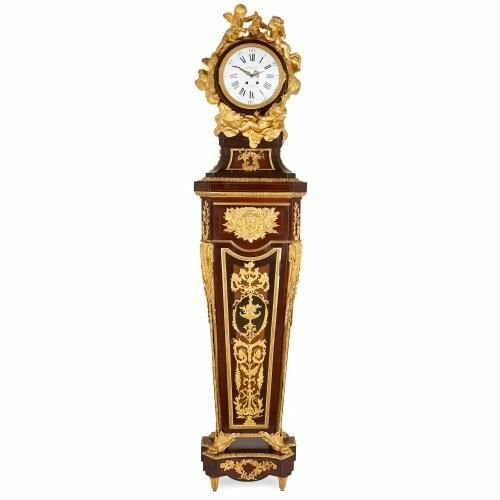 This grand pedestal clock follows a design by the prestigious 18th Century cabinetmaker Riesener, the favourite maker of Queen Marie Antoinette of France. 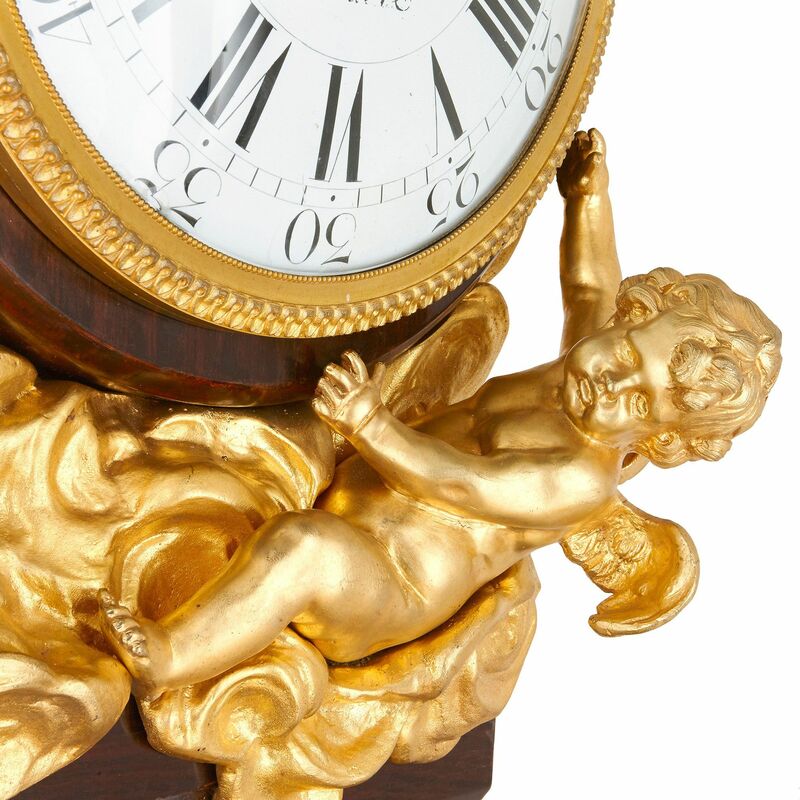 The large and impressive clock is surmounted by a prominent circular white enamel dial, which features black Roman numerals and bears the signature 'Garnier / A Paris' to the centre. 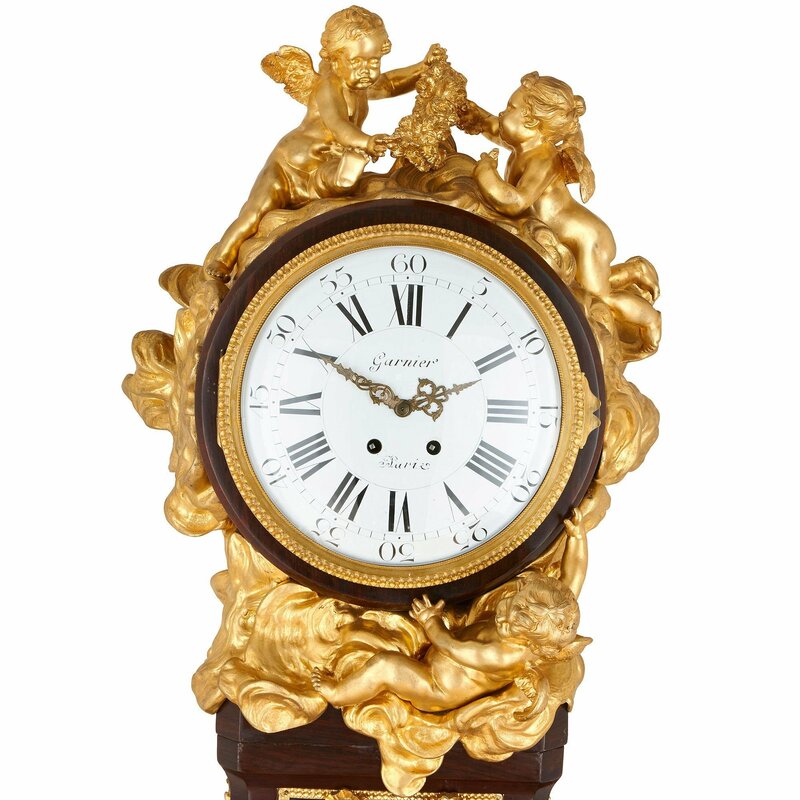 The dial is surrounded with exquisite ormolu mounts depicting three cherubs amidst the clouds. 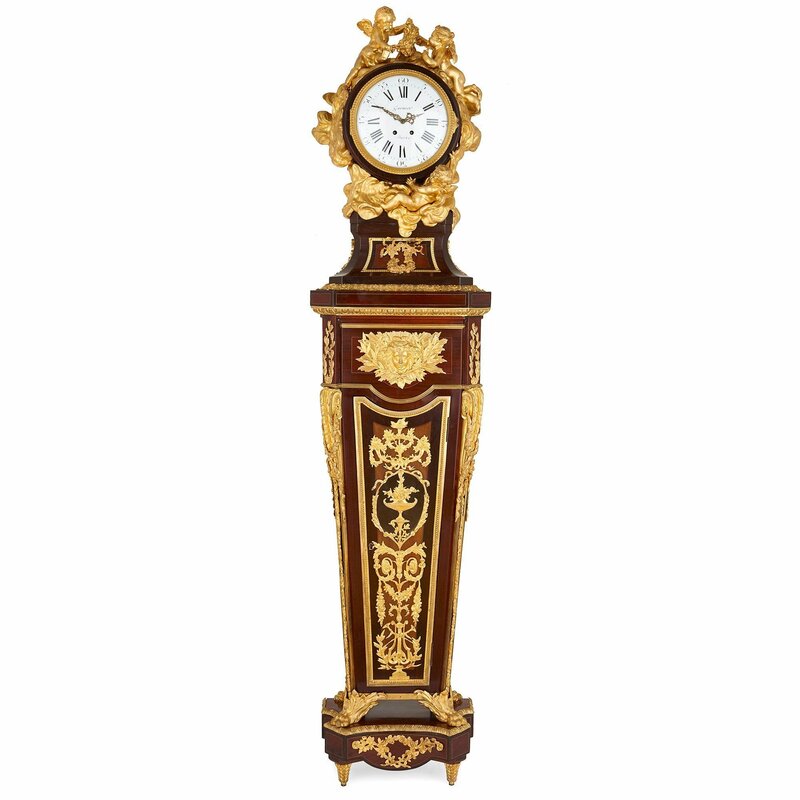 The pedestal case below the clock face is crafted in mahogany on a rectangular plan, and is elaborately decorated all over with ormolu mounts. 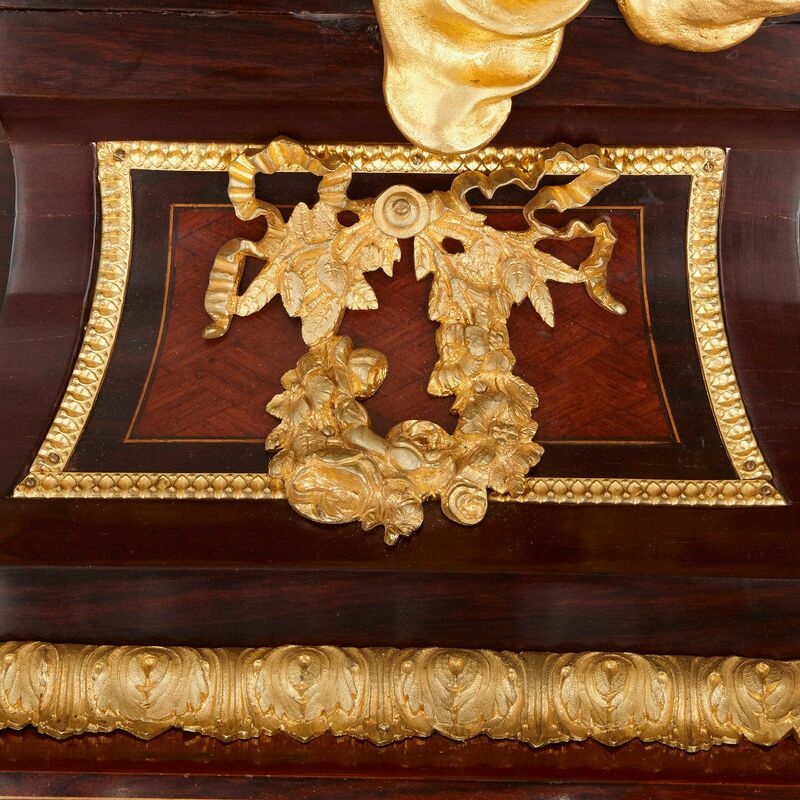 The upper part of the clock case features ormolu ribbon mounts to the front and sides. Below, the tall body of the clock features a classical face surrounded by sunbeams to the centre front, above further mounts of scrolling arabesques. 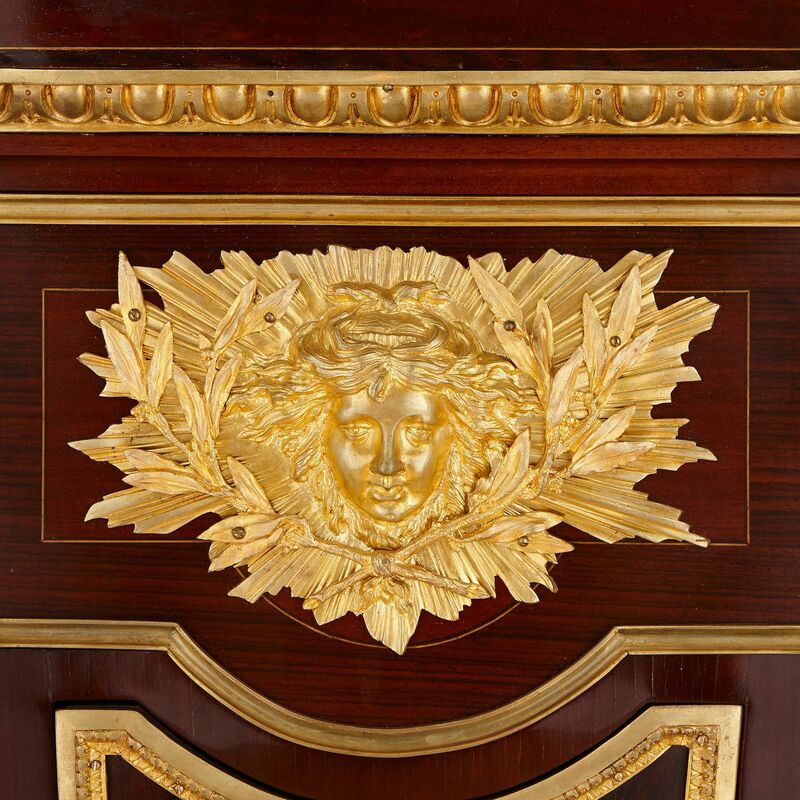 Each side of the clock is further decorated with an ormolu mount of interlocking flowers inside rectangular ormolu borders, with further ormolu mounts of stylized acanthus leaf running vertically down each corner of the clock. 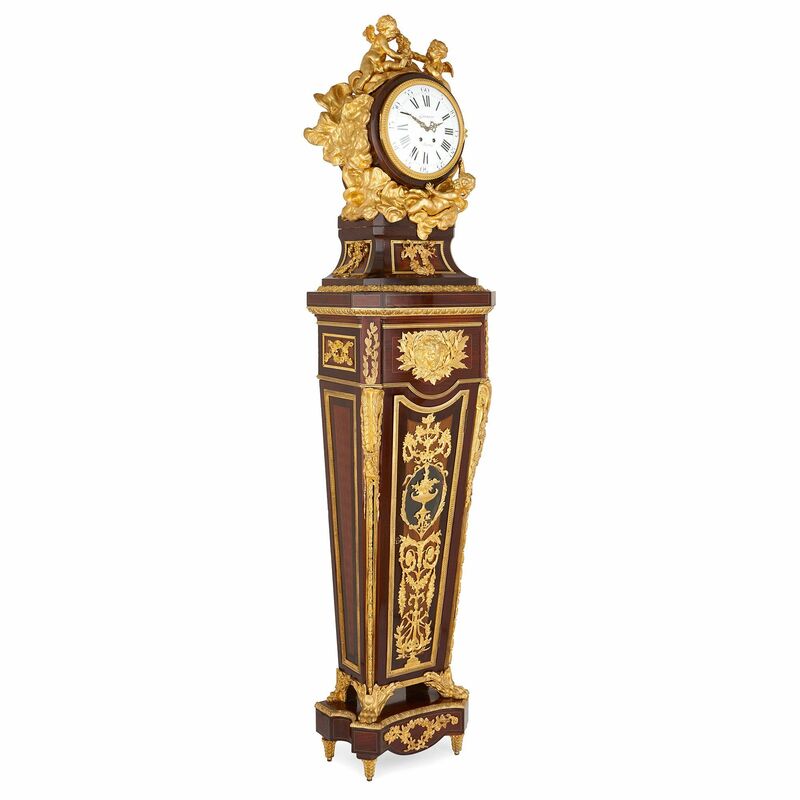 The clock body stands on four ormolu paw feet, which stand on an ormolu mounted mahogany base, which is in turn set on four tapered ormolu feet stylized as pine cones. 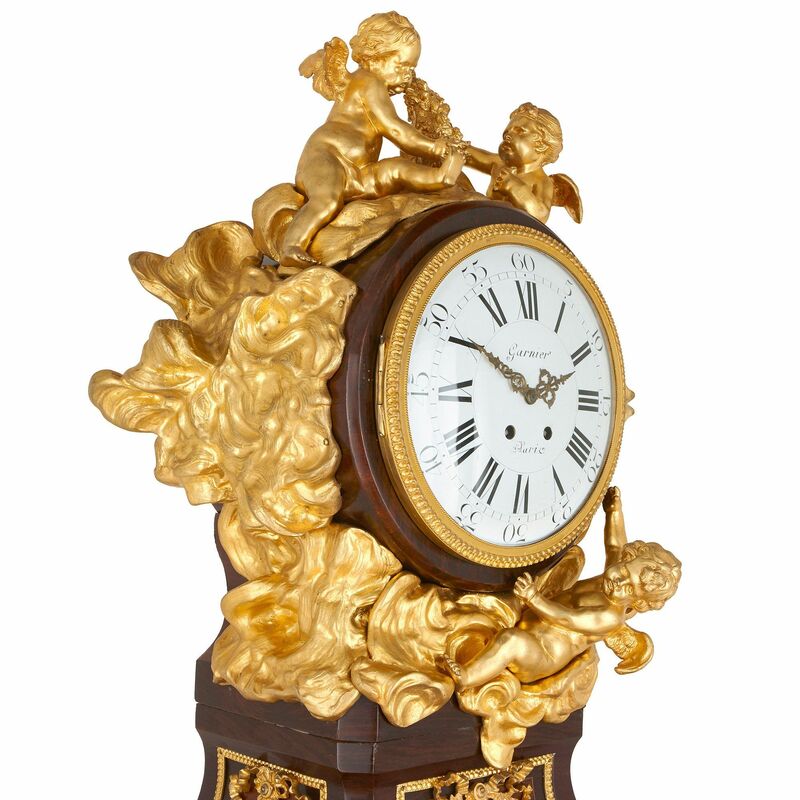 The clock was made after the model by 18th Century cabinetmaker Jean-Henri Riesener (French, 1735-1806) by celebrated Parisian clockmaker Paul Garnier (French, 1801-1861), who won gold medals at the Paris exhibitions of 1844 and 1849, as well as silver medals in 1827, 1834 and 1839.